Hey, take a look at this great nonprofit webinar Free Webinar! 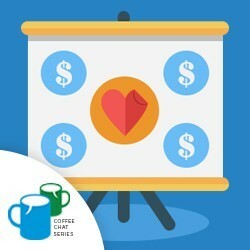 How to Create an Irresistible Sponsorship Deck (Recording) at CharityHowTo! Sponsors, sponsors, sponsors - every nonprofit is chasing those event sponsors! Unfortunately, most organizations fall short of their monetary goals because they don’t have a sponsorship brochure, commonly known as a “sponsorship deck that seals the deal with potential sponsors. That’s all about to change, because in this FREE WEBINAR event planning guru A.J. Steinberg is going to share her secret formula for creating sponsorship decks that prospects will find irresistible.